Seeing as renting out holiday homes is kind of our thing, it’s hardly surprising that our staff are pretty keen travellers too. When they head off on their jollies we always like to hear what they think. 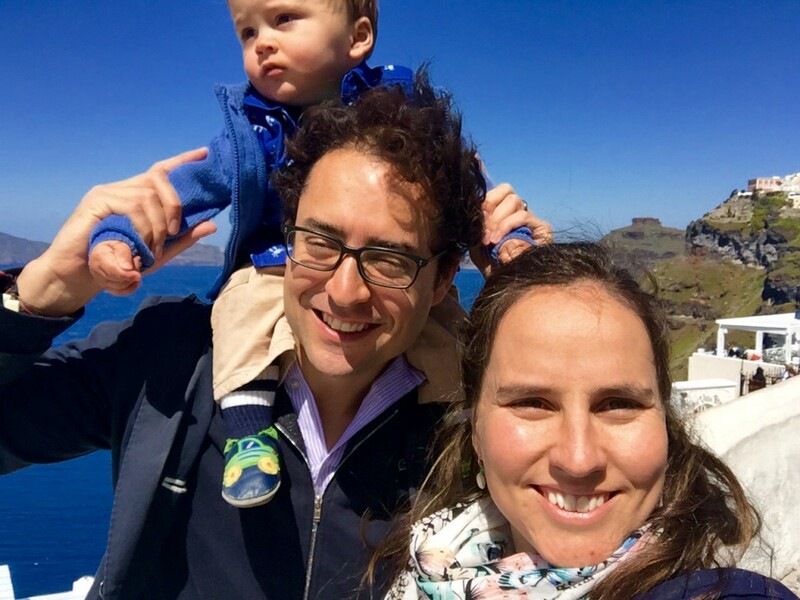 Our Marketing Manager Maria took a trip to Mykonos and Santorini with her family, and now she’s giving us the scoop on everything she saw and her recommendations! Inspire by her story? Browse our beautiful selection of villas in the Greek islands! Going outside of the peak summer period meant that accommodation was really cheap and that the islands weren’t full of tourists. We could get tables in all the best restaurants and beach bars, and walk freely and easily around the charming little towns… We much prefer that (especially traveling with a toddler) even if we had to have our cardigans on! Also, avoiding the hot summer means that you have the excuse to stay in the main towns (Mykonos City in Mykonos and Fira City in Santorini) were there are no beaches – but there’s so much to do, see and eat! 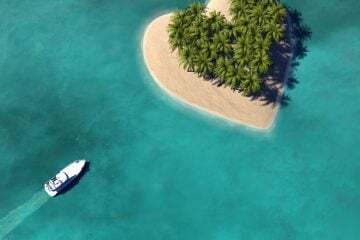 Getting there from London was super easy, as there are direct flights to both islands – and the islands are small, so driving anywhere takes on average just 15 minutes! You can get a ferry between islands, and even though you can buy the tickets the day before I recommend you visit a few ferry sites before you travel, to ensure there are ferries scheduled for the days and times you need. The eternal question – with not a straightforward answer! More upmarket, great restaurants serving amazing food, lots of beaches with plenty of bars and restaurants to choose from. Mykonos town is stunning – but it gets just too crazy and busy in the summer! It’s also meant to be a great party island. Verdict: Great vibe, somewhere you can visit again and again. More touristy, more romantic, and having the most stunning views you’ll ever see! There’s also more to do (hiking, museums and historical sites, tours to the volcano, etc.) and the beaches are of black sand! Verdict: A once-in-a-lifetime experience you HAVE to see for yourself. The food in Greece was A-MA-ZING. It was definitely the best part of our trip! But by far the highlight was discovering Tasos Taverna in Paraga Beach (recommended by locals sitting next to us in a restaurant the night before!) 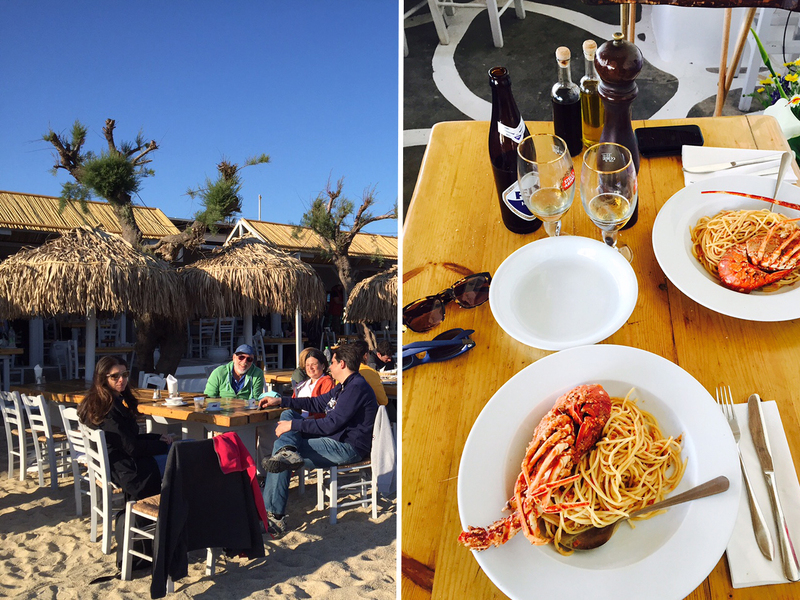 The relaxed setting right on the beach, the friendly service… and the seafood! Octopus, calamari, fish, shrimp, pasta, salads… we had it all. We loved it so much we went back before flying back to London. People in Greece are seriously friendly! They were all really nice and attentive with our son, and always gave us the highest level of service anywhere we visited. Because it was Easter, we got to see the Palm Sunday Syrtaki Dance in the Old Port. There was a line of about 100 people dancing! That was a cool surprise, and you can see a video of it here. I also found it very interesting how there’s a church wherever you look – I was told that being fisherman’s towns, they would promise to build churches if they came back alive from their travels at the sea… and I guess many did! 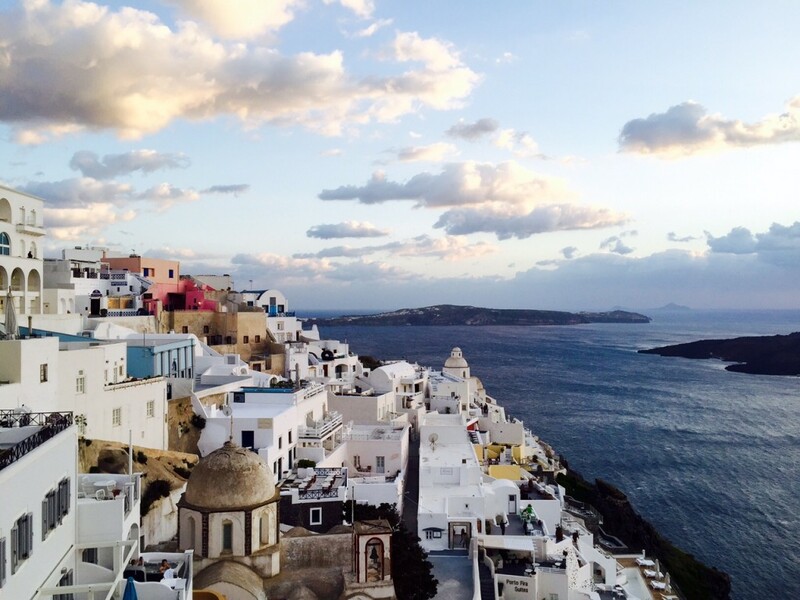 For anyone travelling to Mykonos & Santorini, what can’t they miss? 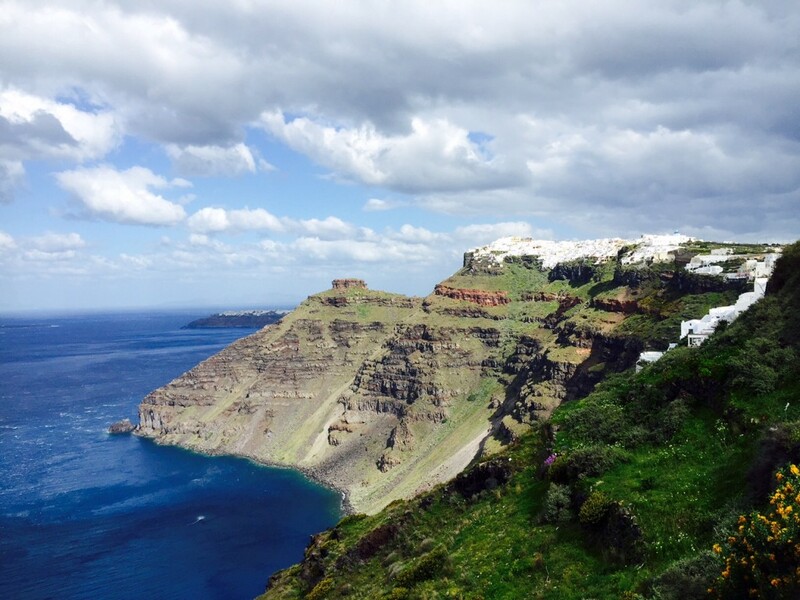 The hike from Fira to Oia in Santorini… Wow! Breath-taking views of the white towns on the top of its dramatic mountains, the dark blue sea, the volcano in the middle… It’s hard to take it all in without the need to stop every five minutes for a new picture. It’s supposed to take about 2-3 hours, although we had to cut our hike short because of the strong winds at the end! So ideally plan it on a day when the winds are not too crazy (especially if you are traveling with kids!) and make sure you have a windbreaker with a hood to protect your ears. Winds or no winds, probably the best hike you’ll ever do in your life. One of the most beautiful islands in Greece! But I prefer Mykonos there is my life! 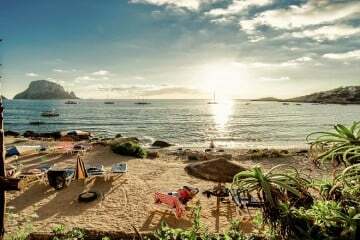 It has very nice beaches and worth visiting the island the wind, the island with the most vip services! 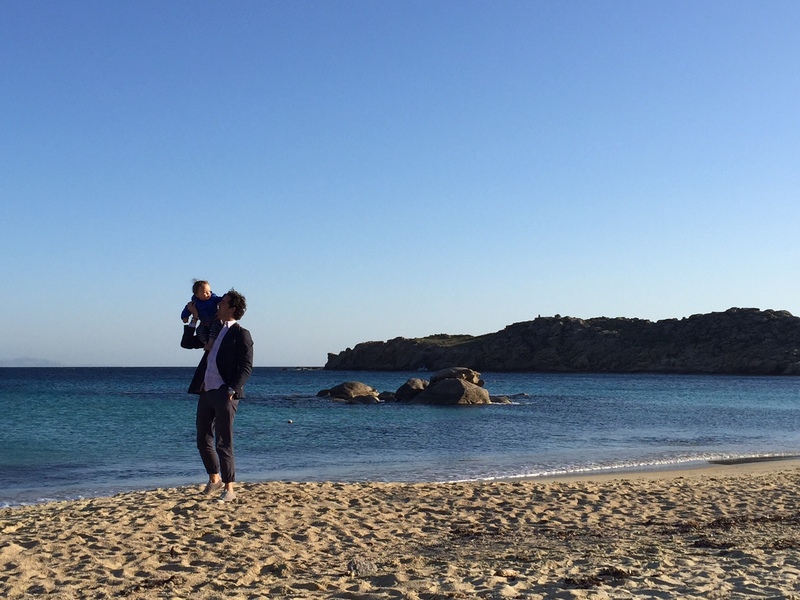 My suggestion to everyone is to rent a boat and visit Delos!